A cleanser either dries out your skin or keeps the moisture in balance. It either removes your makeup or it doesn’t. It makes you break out or it keeps your skin clear. It basically either works or it doesn’t and you can tell pretty quickly. I’ve been using this other cleanser by Nelsons for the last 7-8 months with pretty good results, no over-drying makeup removal, no reactive breakouts, but I had been noticing that my skin looked like it needed something else, it needed a boost. I have this theory that your face gets acclimated to products and that they stop working. It was time for a change. 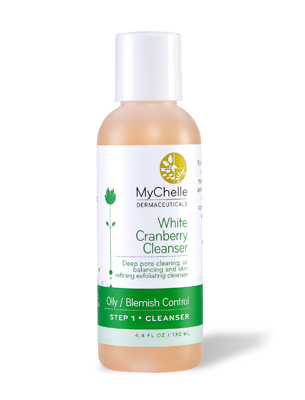 I went for this after a ton of research online about green face cleansers for acne prone skin. I wanted one that would not strip, would take off makeup, balance the oil and keep acne at bay. So far, so good. I’ve been using this exclusively and I am really really happy. I’ve had no breakouts since using it and it is kind of astonishing. How it actually works while being on my skin for only thirty seconds I have no idea. But it does, and I had to share. You and your clear skin can thank me later.